When will be Flipping Paradise next episode air date? Is Flipping Paradise renewed or cancelled? Where to countdown Flipping Paradise air dates? Is Flipping Paradise worth watching? Real estate experts David and Chenoa get a lead on a former vacation house that's for sale in Paradise, CA. The bank-owned property is in need of some massive updating and repairs, but it's priced to sell quickly, so they act fast to buy the dilapidated home. Even though the home has a potential to pay off big time, they'll need to make quick decisions and smart moves to renovate and get this latest flip back on the market in record time, without breaking the bank. But as they dig deeper into the house, they find hidden issues that stop them in their tracks. Will they be able to get the flip done in time and on budget or will outside forces ruin their plans of flipping this mountain home into a woodsy retreat? 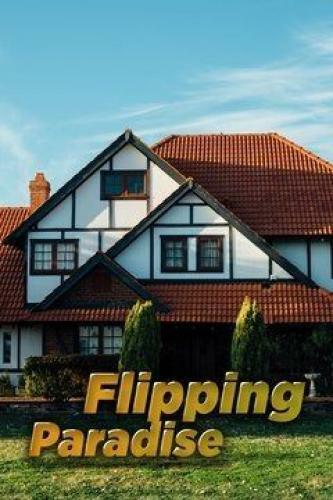 Flipping Paradise next episode air date provides TVMaze for you. EpisoDate.com is your TV show guide to Countdown Flipping Paradise Episode Air Dates and to stay in touch with Flipping Paradise next episode Air Date and your others favorite TV Shows. Add the shows you like to a "Watchlist" and let the site take it from there.